Christmas and celebration background loop. Defocused snow or glitter. Red sparkly hexagons falling on the right side, with copy space on the left. In 4K Ultra HD, HD 1080p and smaller sizes. hd00:20Beautiful glowing orange pink bokeh background with floating light particles. 4k00:10Magic particles gather in a Christmas gift box. Looping 3d animation. 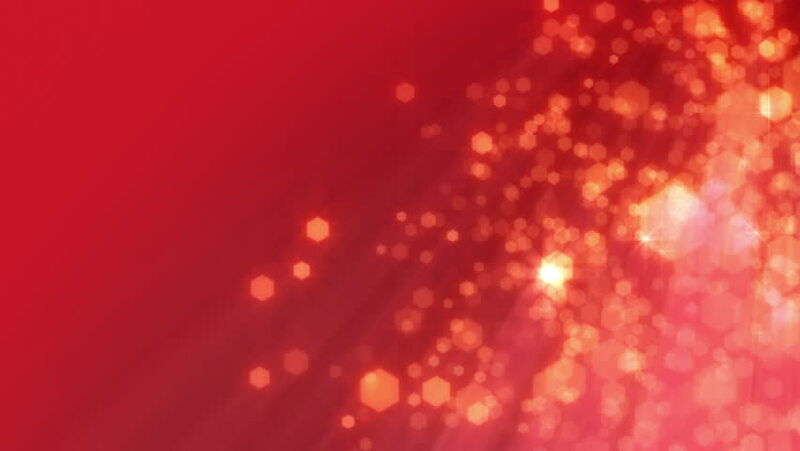 4k00:104k Red Bokeh Animation Background Seamless Loop. 4k00:20Abstract coral colored background. Loop, 4K.